2. 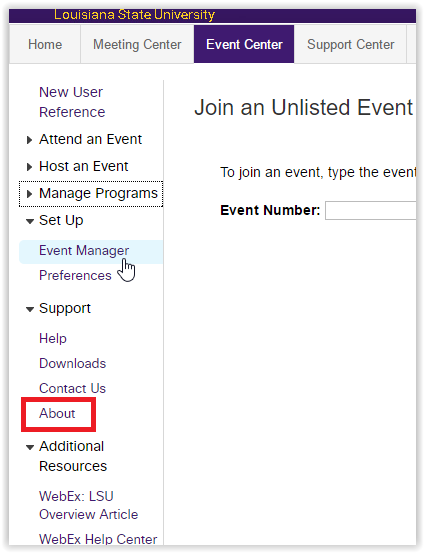 Switch to the Event Center tab at the top of the window. 3. 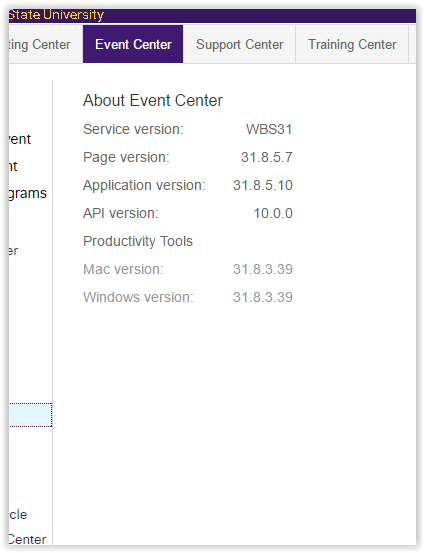 In the menu on the left-hand side of the screen, click About under the support drop down menu. 4. The information about the application will be displayed.